Tröndlin, 1830, Leipzig. 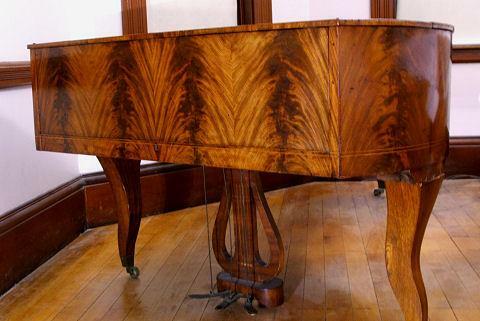 Johann Nepomuk Tröndlin (1790-1862) studied instrument making in southern Germany and Vienna. From 1821-1824 Tröndlin ran the instrument manufacture division of Breitkopf & Härtel in Leipzig. Subsequently he established his own business, which was sold in 1855. 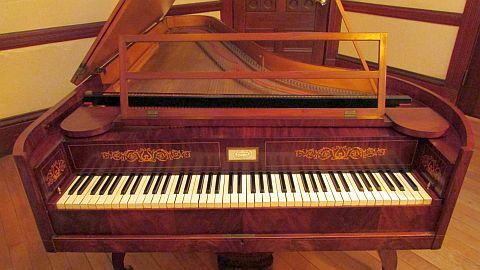 Tröndlin's instruments were praised by Clara Schumann and Felix Mendelssohn Bartholdy. 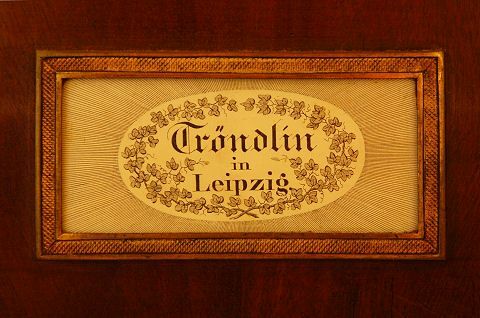 Until 1860 Tröndlin's instruments were used in Leipzig's Gewandhaus. They were known and loved for their even and smooth sound. 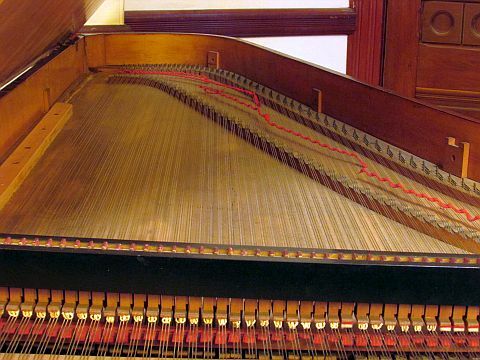 The present instrument seems to borrow features from a number of Viennese builders of the period. 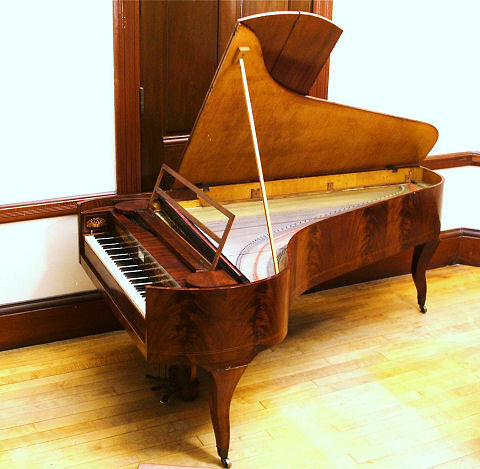 Basically, it is a Viennese piano built in Leipzig.